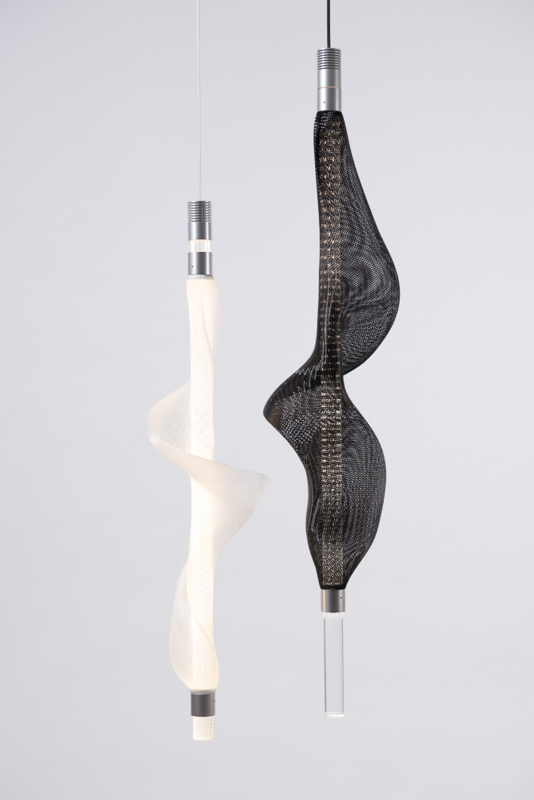 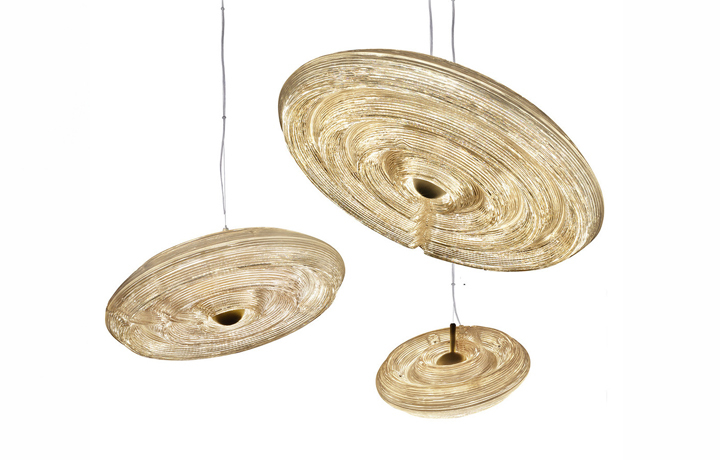 Rythm of Light is an adjustable pendant lamp inspired by the hoops of crinoline skirts made by Susanne de Graef. 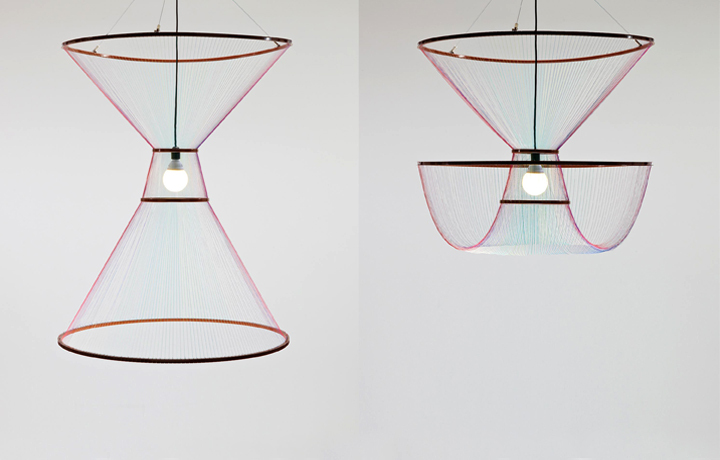 This poetic lamp with its rainbow colored threads seems to float in the air. 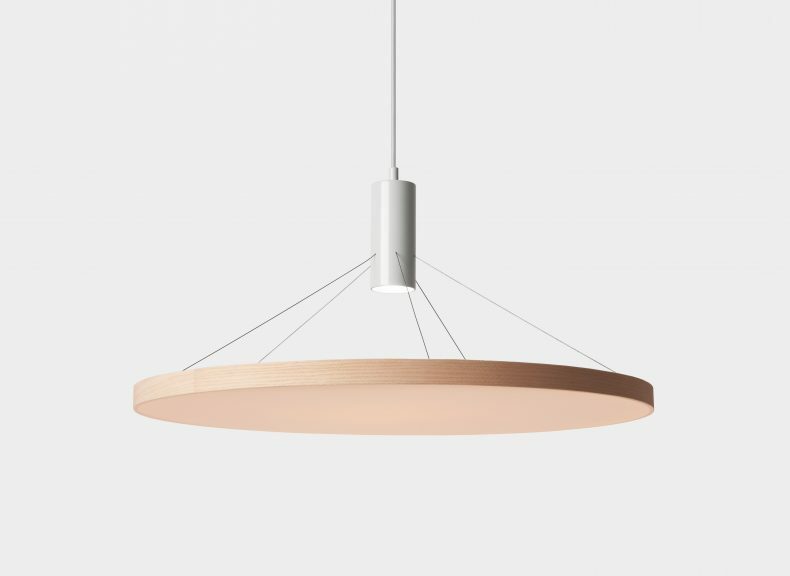 Once lit, the lamp spreads light and shade on the walls by projecting the lines of the 4 metal rings.